You might even discover the apple-pressing hut where strong muscles are needed to squeeze the juice from the fruit grown in the orchard around you. Rosemary and Richard — one of our lovely couples — had their very first evening date there, where they were able to share a romantic mezze. When taking into consideration their attention to presentation this meal would have cost double at most other reputable establishments. A fairly concise offering, but everything looked interesting and appealing! Southville is well served with places for a lazy Sunday breakfast but Ceiturica is definitely one of finest. 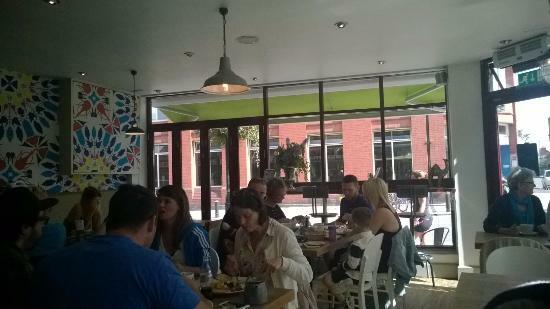 Chomp has amassed a loyal following since opening in 2014, perhaps because it favours quality over quantity. 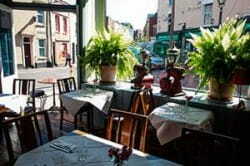 You will enjoy its food, especially mouthwatering fish curry, lamb skewers and chicken skewers. And if you're still unsure, the fish-shaped water bottles ought to persuade you. Depending on the day you visit, you might be served provençale fish stew, paella, Korean-style sashimi or pad Thai. They serve a good range of teas, coffees, and juices to wash it all down. Small advice, it was a cold evening and the restaurant is half inside, half under a high spec awning, so try and get in the building if there's a chill. On a bright sunny morning, like when we visited, the big windows give the place a lovely light feel. Mains are around the £10 mark but include delicious choices such as pesto gnocchi, linguini carbonara and pizzas. 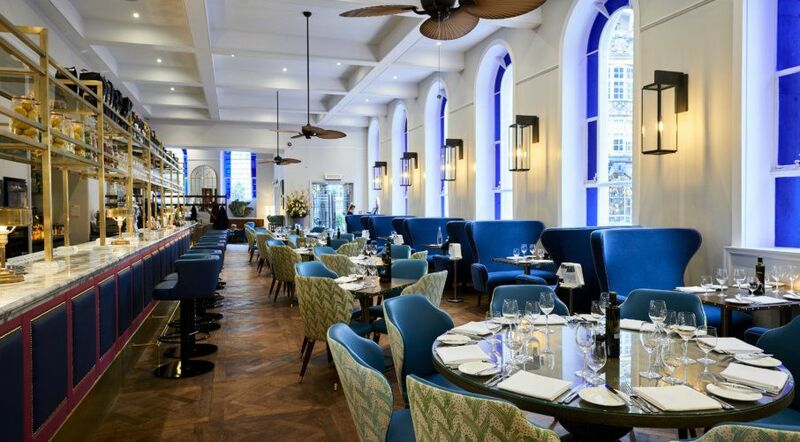 If you haven't already guessed from the name, Wallfish specialises in seafood. 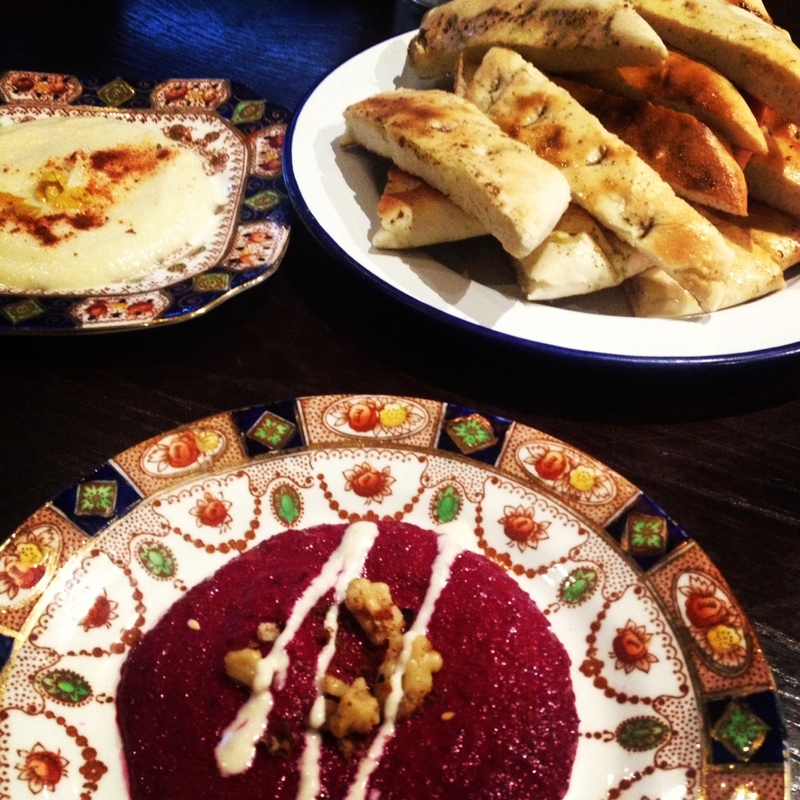 Really tasty, well cooked Moroccan food on the menu. Style and elegance underneath a Wetherspoons? Before or after your meal, take a stroll through the gardens to see where many of your greens have come from. Proving that menus needn't have millions of options, Flour and Ash do what they do, and do it well. You can tuck into a medium breakfast, consisting of two bacon rashers, two sausages, egg, tomatoes, hash brown, mushrooms, toast or bread and butter for just £5. There's a range of breakfasts: Full English and one even bigger with chips , a vegetarian breakfast, and other simpler options like pancakes or muesli. Soukitchen Clifton, the newest addition to the Soukitchen family, is situated on Apsley Rd, just off the popular Whiteladies Road. 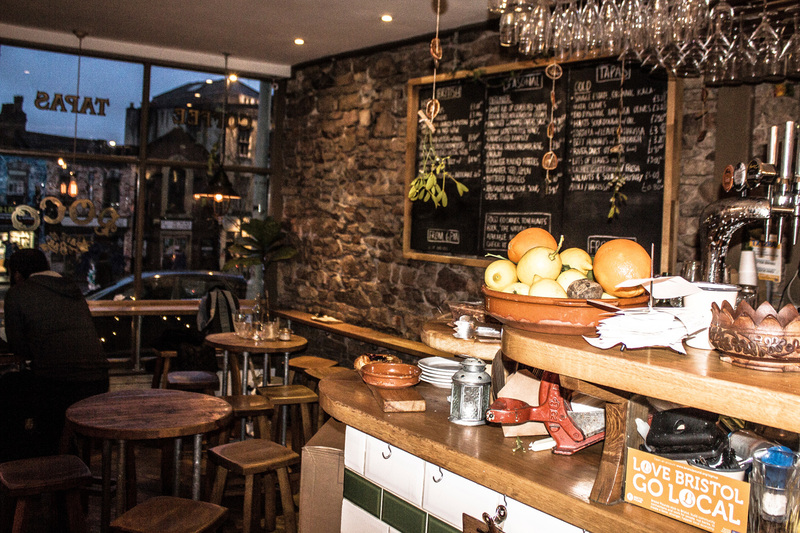 Bristol is bursting with fresh, locally sourced produce, but only the finest chefs can whizz this into a gastronomic feast to make taste buds sing. It's actually a great place to bring friends or conduct business meetings, as you bring your own atmosphere. Flickering candles in glass jars and cutlery in colourful cans add a warm, rustic Middle Eastern feel to Soukitchen in the evenings, taking inspiration from the markets and street food stalls of Arab and Berber cities. For a one-page, no-frills menu for the indecisive eater. For organic Korean dishes with a delicious twist. Korean chef and owner Hwi Shim Wizzy to her friends moved to Bristol after working in Michelin-starred restaurants in London, including Nobu and Hakkasan. If the English part set alarm bells ringing, don't fear: this duo take their staff to Spain every year to ensure their food remains authentic and to cement their connections with Spanish suppliers. The restaurant information including the Souk Kitchen menu items and prices may have been modified since the last website update. A fairly concise offering, but everything looked interesting and appealing! You will appreciate the divine decor and pleasant atmosphere of this place. This venue has changed hands a couple of times recently, being slightly off the thoroughfare of Whiteladies Rd. In many Arabian cities a souk is at the very epicentre of their brilliance, usually the hub of trade and activity for the whole community. Our eclectic wine menu allows you to explore new wines created by innovative producers from interesting regions such as Greece, Turkey and the Balkans. To save a few pennies, book at able between 5pm and 7pm Monday to Saturday to enjoy a 6oz rump steak, fries, sauce and a glass of house wine for just £15. My dishes were crammed with well balanced flavours using high quality ingredients. Wilkins backed himself and he was right to — just over a year after opening in 2012, his restaurant was awarded a Michelin star, making it one of only three in the Bristol area to hold that distinction at the time. From sitting down to recieving our starter took over 40 minutes and it was about the same time for our mezze dishes to arrive as well. For simplicity, stick to the house classic, cooked medium and served in a brioche bun with fries and coleslaw. Westbury-on-Trym Athena Kuch's flatbread starter. The carrot cake was massive and tasty, as well. Some of the gastronomic delights on offer include pan con aioli, gordal olives, wild venison chorizo, blue cheese with orange blossom honey and salted chocolate truffles. Decent selections of drinks though a little lacking in the beer section as only sold largers and there was only 4 from which to choose from. If all this talk of mouth-watering aromas has whet your appetite, then check out their website at. The best food here is the persian menu - the obligatory mainstream dishes are mainly that - obligatory - they'll do. Bold plates of Middle Eastern + North African food meet locally sourced ingredients to provide an imaginative brunch at Soukitchen. Purveyor of authentic Middle Eastern cuisine, Souk Kitchen manages to serve up a feast for the eyes as well as the belly. The choice of burgers is refreshingly simple compared to the thousands of different combinations on offer elsewhere. To eat well and feel smug about it. One could almost imagine the chef's a bit of a show off! Didn't put us off, however! With sizzling skewers, juicy kebabs and centuries-old recipes eaten on communal tables, the extraordinary flavours are such a talking point that they make a great ice breaker for couples. Thank you for subscribing We have more newsletters See our Could not subscribe, try again later Invalid Email There are few greater pleasures in life than enjoying a delicious meal in an excellent restaurant — and there are plenty of places in Bristol where you can truly make the most of such an experience. This venue has changed hands a couple of times recently, being slightly off the thoroughfare of Whiteladies Rd. Expect steak tartar, turbot and seaweed butter with scallops and grapefruit to start. The eclectic wine menu allows you to explore new wines created by innovative producers from interesting regions such as Greece, Turkey and the Balkans. Good latte, apple tea or juice will make your meal tastier and you'll certainly come back. It is cool to try delicious wine, beer or Spritz. I was impressed by the originality and diversity of the menu. Souk Kitchen Feta and watermelon fatoush salad at Souk Kitchen. 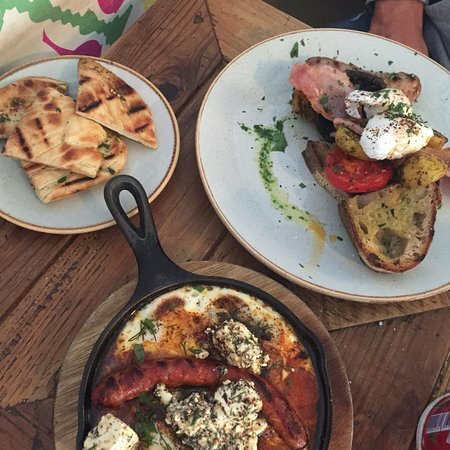 Open daily, it is the perfect venue for brunch, lunch and early dinner, afternoon cake and tea or a quick after work mezze washed down with a glass of wine or two. Ingredients are fresh, local and seasonal.